The post Is This Future of Console Gaming? appeared first on Dorqs. There has been a lot of buzz surrounding the half-step console approach Sony is taking. Is this the future of console gaming? I believe it is whether you like it or not. Is a change like this completely foreign to us? No, and I will explain why. If you look at every electronic device you have today there is an upgrade for it every one to two years. Your PC, router, phone, tablet, TV, stereo, streaming boxes, microwaves, stoves, refrigerators, washing machines, cars, etc. Upgraded technology is the standard around us and consoles have been the exception to the rule with the longest life cycles on the same tech. These longer life cycles can be an advantage in some ways with games looking better with time because of game engine refinement, devkit improvements etc. Long life cycles can also be a disadvantage example being the PS3. At the end of the PS3’s life so many features were crowbarred that weren’t part of the original plan that the console ended up being a laggy mess. I have been a huge supporter of console gaming most of my life but I still see the advantages of PC over consoles and vice versa. I’m not too stubborn to see the which way the wind blows and accept the direction it’s headed for the most part. Change in technology will happen whether you oppose it or not. Take for instance when Xbox unveiled the Xbox One with its DRM and always online policies. A huge uproar in the console community, even I jumped on that bandwagon, it probably cost Microsoft their strong position in the console market. Fast forward to today always online gaming is happening more and more with games like The Division, Destiny, Need for Speed, Elder Scrolls Online. Going a little further back I remember when Sony took flack for game installs on the PS3 which are a standard now even for physical games. Digital games are another feature that console gamers adamantly opposed yet it’s becoming the standard anyway. While reading about the uproar and opposition towards Sony’s PS4.5, codenamed PlayStation NEO. I was wondering why nobody seems to be looking at the bigger picture. Is what Sony doing really a stupid move or is this where the console industry as a whole is heading? Lets dig down and see what we might be in for with the future of console gaming. Call me crazy but that sounds a lot like what Sony’s PlayStation NEO is trying to accomplish. You better believe Microsoft has similar plans. Judging by pressure from investors to kill off Xbox, Windows integration and Xbox exclusives headed to PC. Combine all that with the reports of Microsoft testing new prototypes “with upgraded components you’d use to improve the performance of a PC gaming rig” and the next Xbox might just be Microsoft’s version of a Steambox. Now lets take a look at Nintendo since they’re on the verge of releasing their next console dubbed the NX. Not much is known about this next edition but as the rumors have it something very different is being developed. Nintendo is going through some major changes and most of them seem to point towards a new network structure and the NX console. One constant remains with the rumors is the NX will be compatible with multiple devices be it mobile, PC or other competitors. If the New 3DS is any indication of the direction Nintendo is heading then they are inline with Sony and Microsoft’s vision. Although Nintendo should have never made exclusives for the New 3DS which, judging by the rumors, is where Sony seem to have a better approach planned being game released will need to support both the original PS4 and the PlayStation NEO. Setting a standard rule like this has already given me faith that Sony is being careful not to alienate the current PS4 user-base. Just recently Eurogamer’s Digital Foundry outlined “the rules of engagement” for developers. Among the highlights list dual shock 4 remains the primary controller, 1080p is the mandatory minimum display resolution, no online segregation between consoles, save data systems are cross-platform and forward compatibility patches are for old games only. The list also goes into more detail covering specific software functions, game compatibility and peripheral support. You get a sense that this was well thought out and designed to keep players from both consoles gaming together. You can clearly see console gaming is evolving and there will be growing pains but people will adapt. All those angry people that just bought a PS4 nothing will change for you. Keep your 6 year life cycle and get the next half step forward. Better products launch all the time and sometimes it happens right after you buy what you thought was the latest but at least with this half step console your old tech is still relevant, you’re still playing with your friends and when you decide to upgrade your games and peripherals will still work. 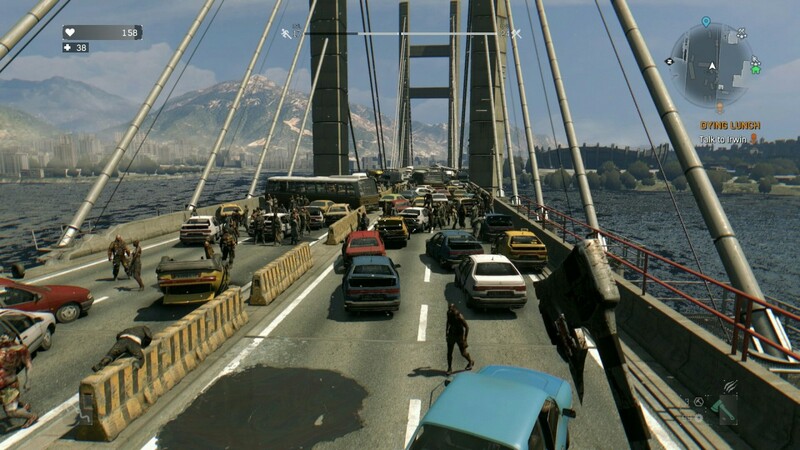 The post Dying Light Review appeared first on Dorqs. While I had been anticipating this game for quite some time I ended up missing out on Dying light the first go around at launch due to time and current interest constraints (Warframe still owns me something terrible, and I think everyone had been waiting for GTA Heists for what had seemed to be the lesser part of a quarter decade.) not to mention LIFE always taking priority over my love for gaming. With the recent patch fixing some graphics and some other issues with the game I decided to opt out of it while Techland polished it up for the community. With that being said, it has been a bit of a priority of mine to grind out on it as hard as I can so that I can be ready to at least share SOME of my time in-between what seems like a game over-exposure this spring with Battlefield: Hardline now out and the GTA Heists craze (both positive and negative craze, that is) dying down. Bloodborne taking the gamer world by storm and officially seating itself as the best console exclusive thus far in 2015. PLUS, Witcher 3 being around the corner. Not to mention the other titles I missed earlier in the year I’ve yet to get my hands on like the now dubbed “movie-game” The Order: 1886. Anyways, that plan changed within the first hour or so of playing this game. Dying light is so much fun I have found myself neglecting the rest of my current game library (I’m also in the 2nd stage of the closed beta for Planetside 2) now only 4 days in playing this. This game has traces of some truly memorable game mechanics from other games that I fell pretty hard for. 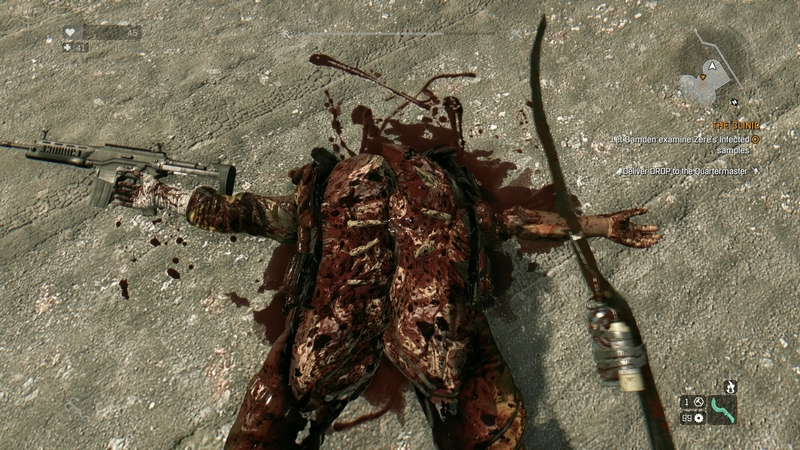 One special one being the slow-mo decapitation sequences, and lockpicking seen in games like fallout and skyrim. Grappling about the map like in Just cause 2. Scaling buildings and leaping across rooftops like in a first person-esque assassins creed and the more popularly compared to parkour game, Mirrors edge. It’s got an almost “homage” feel to a lot of the open world games in the past, even building on, and exceeding its previous, less-expanded and origin game Dead Island had. Speaking of homages, be sure to take second glances around the environment, you’ll sure see some pop culture influence within some of it. The chaos spread about the map is completely immersive and its a beautiful array of tragedy. The soundtrack score is as infective as the virus itself as well. 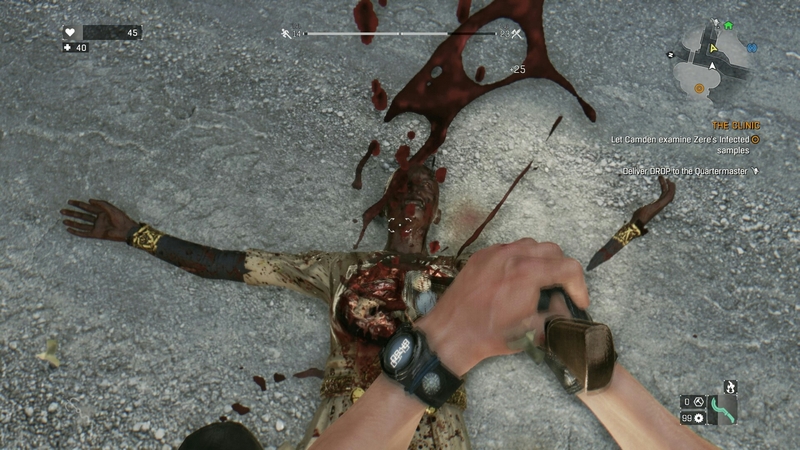 Techland has truly developed something special in this game. I have a serious invested enjoyment in games that allow me to free roam or explore the map without disrupting too much of the storyline. I would do these things in games like skyrim and unknowingly kill an important person in a side quest that would render it unfinishable because an NPC wanted to get froggy with a fully armed traveler rummaging through their sock drawers (no worries on that in this game. NPCs are unkillable unless instructed to do so). Regardless of the outcome of those scenarios, adventure time in games is very important to me, and what seems like A lot of the gaming community as well with the recent direction a lot of games have been leaning. With the option of Open world free roam with 5 person co-op is amazing. Why 5? Not sure really but I’m happy with at least 4, so that added extra person is fine by me…as long as it is not less than 4 player free roam co-op. That kills a title for the IMHO industry standard 4 player teams (I’m looking at you bungie). 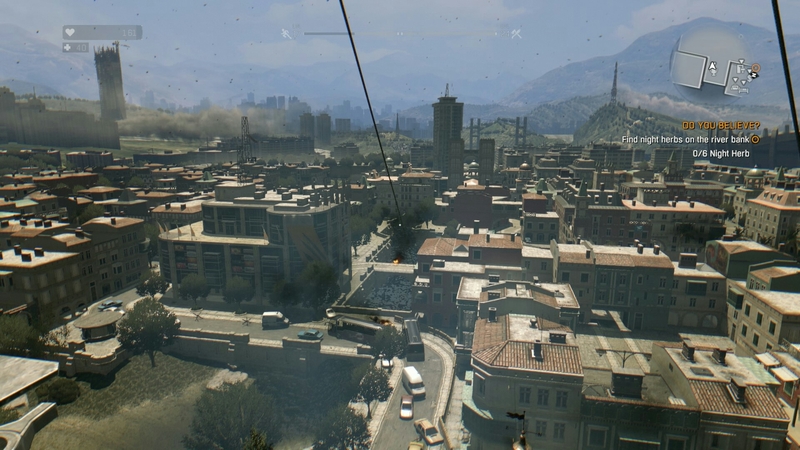 You start off the game as a trained Agent under the guise of a humanitarian aid group by being dropped into the “hotzone” of the city of Harran to look for a political criminal seeking asylum. You meet with what’s left of the city inhabitants who have created a sort of make-shift society after the outbreak became uncontainable. From there the story unfolds as you complete tasks and favors for characters you meet along the way. Scrounge for items left around in order to create better weapons and items to help you survive, and scour the map in various hard to reach places for trophy-worthy collectibles. I cant help but find myself often distracted from the objective, a mile off course making zombie guacamole with an electrified, flamethrowing machete (oh those fantastic sound effects, how I love you). It’s honestly THAT much fun…And I haven’t even gotten to troll a friend as a zombie yet. There are various different types of enemies to encounter on your journeys that have similar resemblances to the enemies of Left 4 dead, another co-op zombie killing title that helped legitimize and expand the already loved genre of zombie killing adventure games. Each specialized zombie has a power or skill that you have to adapt to in order to kill them off effectively. There is also a rival faction being ran by a sadistic lunatic that is causing major plight on the survivors of the epidemic, much like that of far cry series, that must be dealt with accordingly. The storyline is fairly decent in size and expands over two different maps in politically polarizing parts of the quarantined zone, and there are tons of side missions to help prolong the gaming experience that helps color the ongoing issues found in Harran’s society. They have also recently released their first DLC content that I cant wait to try out, and have definitely earned my extra money for. As you fight to create a bit of order in the chaos, you gain and lose allies along the way, giving the story a pyrrhic sense in the blood-soaked silver lined cloud of hell. Overall I can’t say that I haven’t played this game before with all of the things that they have implemented into it that made it feel more familiar to me from other titles, but with all those familiar pieces they HAVE put into it it has made me love the game that much more because of the fluidity of which I can pick up the controller and with a little adjustment to the controls (my only real complaint about this game honestly is the inability to map controls how I would like them to be instead of adapting to a rather awkward button pattern) jump right into what I can say is the most beautifully confusing chaotic map i’ve seen since DC was nuked in Fallout 3. 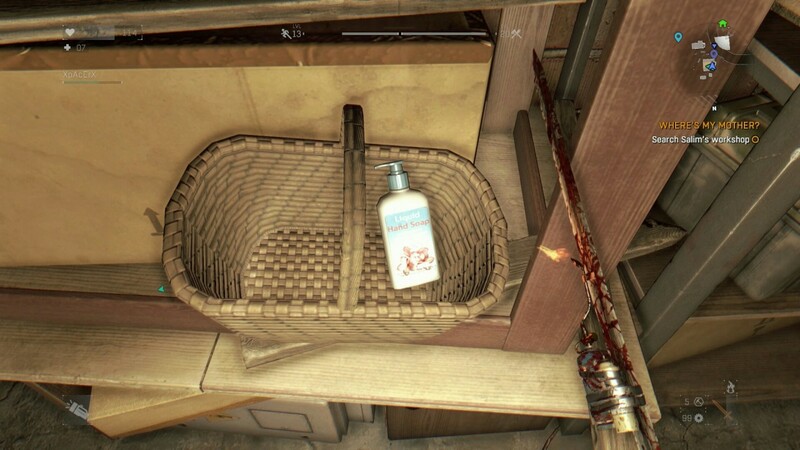 Well done, Techland. A great game, and quick response to patchwork has earned you a spot in my game rotation for some time to come. The post NA PlayStation Store Update 9/2/2014 appeared first on Dorqs. Yet another weak month for PS+, and the summer drought continues! Velocity 2X stands out amongst this week’s releases. FuturLab’s great scrolling shooter meets a Metroid-style platformer to create a glorious mashup that is sure to provide hours of fantastic gameplay. EA has a sale going on this week, but there’s nothing amazing in this list containing nothing but older PS3 games. If you still haven’t played the Mass Effect Trilogy, it’s definitely worth picking up at this price. The post Assassin’s Creed Rogue Gets New Gameplay Videos appeared first on Dorqs. In this Assassins Creed Rogue gameplay it shows naval combat with Shay at the helm of his ship, Morrigan. The Morrigan is said to be faster and more agile than the Edwards Jackdaw from Assassin’s Creed 4. If you look to the right of him you will notice a certain character from Assassin’s Creed 3 assisting Shay on his travels as they battle against a small fleet of French ships. This next gameplay walk-through takes place in River Valley Land where you get to see Shay infiltrate an assassin stronghold and kill a master assassin. Shay has some new weapons to choose from like the air rifle, sleep bombs and he can even sense and spot hidden assassins waiting to strike. The post Minecraft PS4 Hits Certification And Vita Gets A New Trailer appeared first on Dorqs. We're still working our way through the bugs. We'll let you know when we hand over to the Cert testing teams! Well 4J Studios just announced via twitter that Minecraft PS4 has just hit certification. From what I have read Sony certification can take around to 2 to 3 weeks so we just might get it before the end of August. 4J Studios also went on to tell everyone about the PS Vita and Xbox One builds. We're still bug fixing #MinecraftXbox1 and #MinecraftPSVita. We'll give you news when we have it. Earlier this month The Vita Lounge reported on a possible leaked release date of 8/19 from Gamestop for the Xbox One version. I’m not sure how long Microsoft certification is but I doubt The xbox one version will release next Tuesday. TVL also spotted a Minecraft PS Vita ad on Sky TV which stated a September release. Although it’s not uncommon for Europe to get releases later that the US but September launch time-frame seems more likely given those versions haven’t hit certification yet. For those that have waited patiently for these versions to release this month you might have to wait little longer. In the mean time enjoy a new Minecraft PS Vita trailer 4J Studios just shared via twitter. The post Take a look at Quantum Break Gameplay from Gamescom 2014 appeared first on Dorqs. After months of vague description and previews we finally get to see a solid Quantum Break gameplay video. The developers, Remedy Entertainment, are known for previous titles Max Payne and Alan Wake. Yesterday from Microsoft’s Xbox press conference at Gamescom Remedy’s creative director, Sam Lake, introduced a live gameplay demo for Quantum Break. 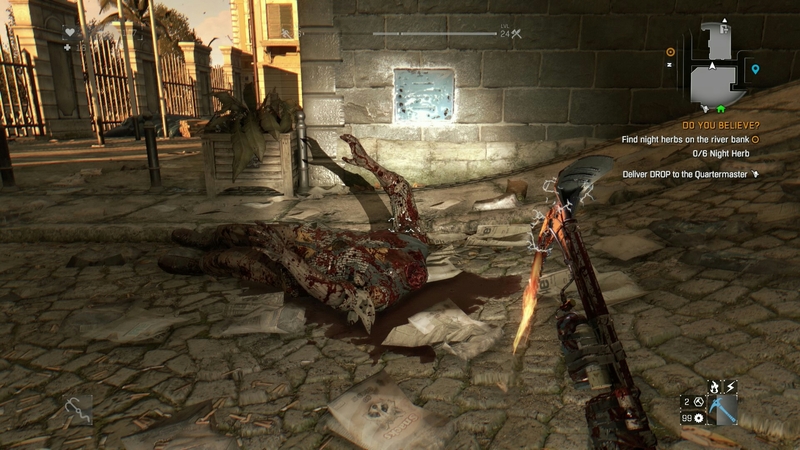 The gameplay shows protagonist Jack Joyce using his special time shifting abilities in combat. These abilities come for Jack being caught in the blast of a time-travel experiment gone wrong. Jack can run super-speed through time or freeze time in specific an area to lock enemies in place which allows him to deal more damage with gunfire. They video also shows time frozen sequences that Jack has to navigate through as well as encounter enemies that can manipulate time. Check out the gameplay below and let us know what you think. The post Lionhead and EA Veterans Announce Multiplayer Sandbox Oort Online appeared first on Dorqs. There is yet another procedurally generated, Voxel-based open world game, but Oort Online looks like it has potential. Wonderstruck Games recently announcing their crowedfunded title Oort Online has been in development since late 2013. Wonderstruck Games is comprised of a veteran staff with former Lionhead, EA and Hello Games talent. The MMORPG is set across a variety of worlds yet all of which exist in the same universe where players can fight, survive, explore, build and craft. The studio is currently planning a late 2015 release, but for $95 you can play the game’s prototype build now. If you don’t want to pay that much to early adopt an alpha is planned for early 2015 and then a beta later in the year. There’s a variety of options to help crowdfund the game and most crowdfunding tiers allow users to vote on the feature roadmap for the game. Check out the full details in the video below and don’t forget to comment. The post Assassin’s Creed Unity Paris Horizons Gamescom Trailer appeared first on Dorqs. This latest Assassins Creed Unity Gamescom 2014 trailer follows Arno as he travels through Paris. Check out the video below and let us know what you think in the comments. The post The Witcher 3: Wild Hunt Gamescom 2014 Gameplay and Screenshots appeared first on Dorqs. A new gameplay video and screenshots of The Witcher 3: Wild Hunt was released by CD Projekt RED at Gamescom in Cologne. The setting for the Witcher 3 gamescom gameplay video takes place in the village of Downwarren. Geralt is tasked with solving the mystery of the Whispering Hillock and find out what’s killing its villagers. Check out the video and screenshots below. In case you missed it, here’s the stream from today’s reveal of Advanced Warfare’s multiplayer mode. For some reason, I can’t get Microsoft’s proprietary video player to go full-screen. And here’s a MP trailer released today if you don’t want to watch the entire conference. The post Call of Duty Advanced Warfare MP Reveal appeared first on Dorqs. In case you missed it, here’s the stream from today’s reveal of Advanced Warfare’s multiplayer mode. For some reason, I can’t get Microsoft’s proprietary video player to go full-screen. And here’s a MP trailer released today if you don’t want to watch the entire conference.